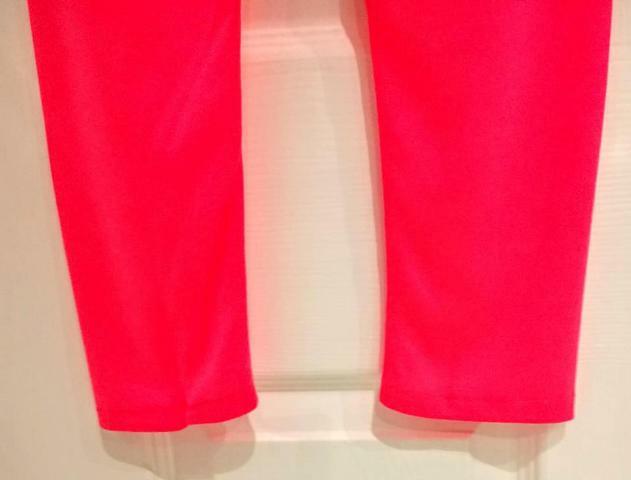 A pair of girls leggings hand made from a lightweight stretch jersey fabric in a flouresecent pink colour. 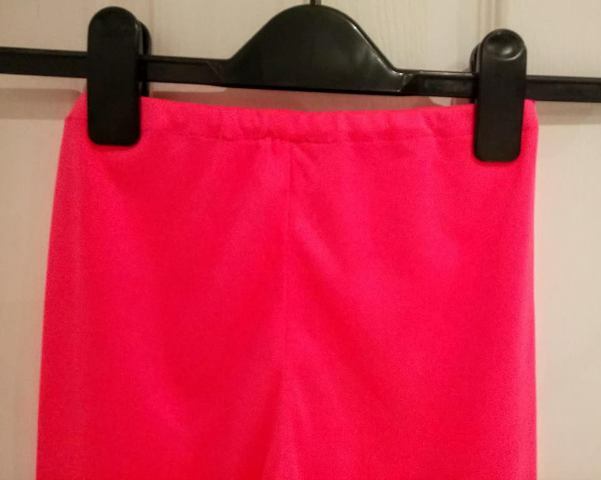 They have an elasticated waist for comfort, are fully washable, with no need to iron. A fun item any little girl will love to wear again and again. They will fit approx age of 7 years.